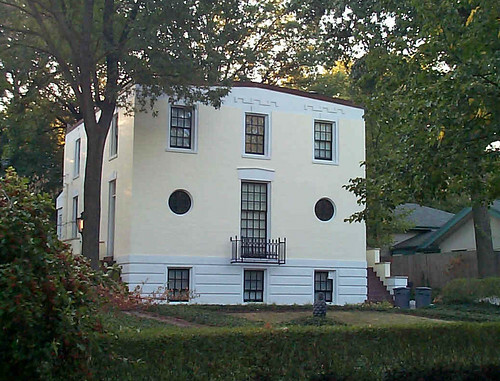 For many years I had a hunch that this pair of recently demolished buildings at 4044-4052 Forest Park Boulevard were the handiwork of architect Frederick Dunn. Dunn is more widely known for residential and church projects, but has most recently been in the press for Lewis & Clark Branch Library, which the St. Louis County Library Commission seems hell bent on destroying. Though the proposed new library branch building would only be 20% larger, it likely wouldn't have the column free open floor plan that allows a library greater flexibility and it certainly would not be as beautiful or unique as Dunn's Lewis & Clark branch library. One of a pair of side by side Frederick Dunn residences on Demun Avenue in Clayton. The residence and the buildings on Forest Park both display a stripped down classicism with low pediments that are held back slightly from the face of the facade. This design calling card is found on many of Dunn's buildings designed through the late 1930's and early 1940's including St. Marks Episcopal Church, 12 Westmoreland Place, a home on Log Cabin Lane and others. I attempted to verify my hunch by checking the permit records at City Hall, which often have accompanying architectural drawings on microfilm. Unfortunately, drawings were not kept for most buildings costing under $5,000, and the permits for both 4052 and 4044 Forest Park for Brunson Construction Company were both $2,000 each. 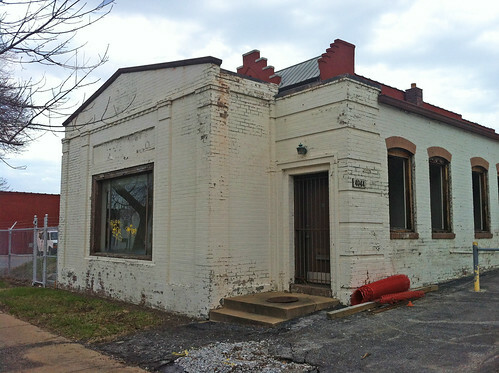 The permit for 4052 for the alteration of an existing storefront addition built in 1917 was dated 2-15-1940 and the permit for a new building at 4044 was dated 3-4-1941. These dates correspond to the time when Dunn was designing on this style. 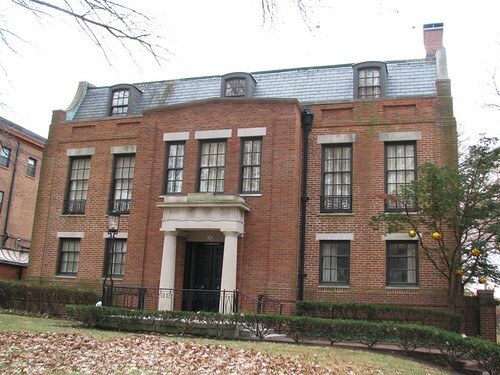 4052 Forest Park also features the same recessed brick panels above openings that are found on 12 Westmoreland Place, which was built in 1938. 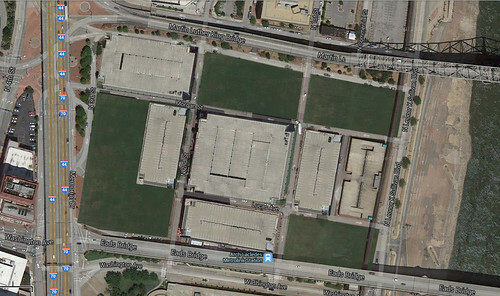 If these buildings were not designed by Frederick Dunn, then they were done by a very good copy cat. The original home at 4052 Forest Park was built in 1890. 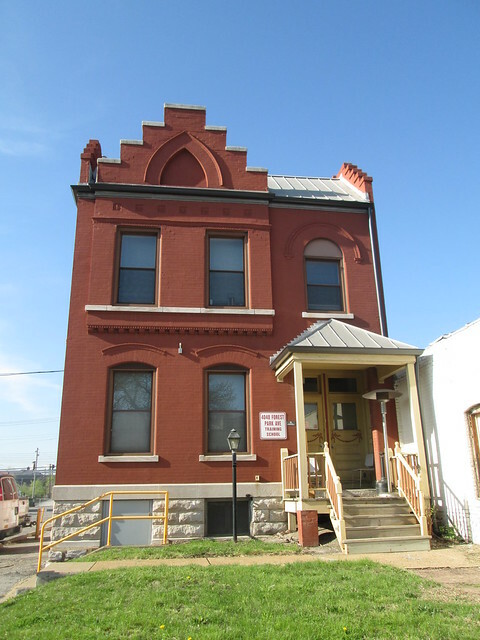 Before Brunson Construction, 4052 Forest Park was listed as offices for the Haynes-Langenberg Manufacturing Company, which produced furnaces for homes. 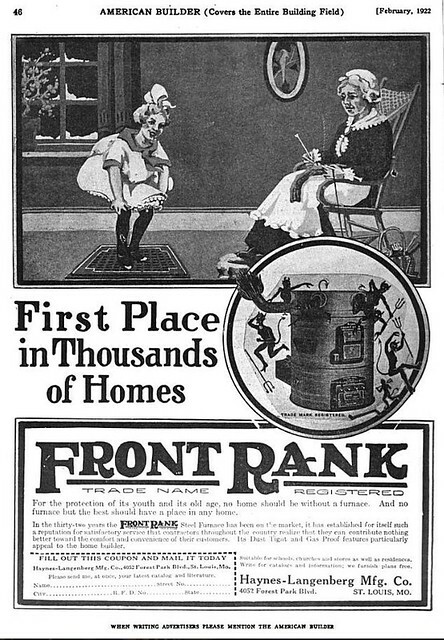 Above is a rather humorous advertisement from the company. 4044 Forest Park exhibits the same Dunn stylistic tools and adds horizontal lines around the entrance. By Easter morning the building at 4044 Forest Park was rubble as was the original house at 4052. 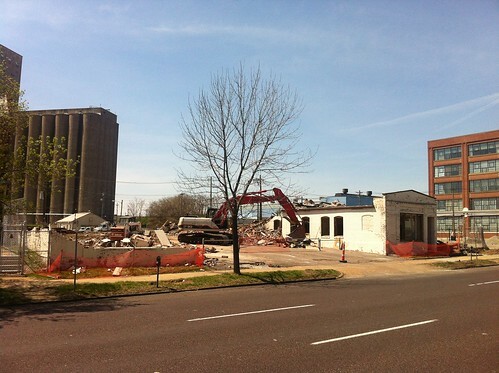 The demolition of this one story complex is part of the changing face of Midtown St. Louis. 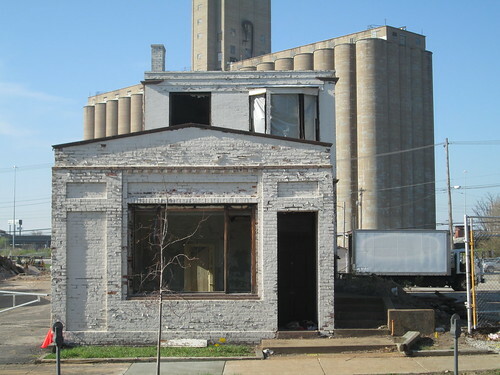 CORTEX has issued an RFP for redevelopment of this site and land extending to Sarah Street for a new urban residential project dubbed the "Silo Lofts". Proposals were originally due April 1st and have been extended to May 1st, likely because the terms of the deal, which include a 65 year ground lease instead of simple purchase of the property is somewhat ridiculous. At least CORTEX is making an effort though. The fate of this beautiful 2-family house, just east of 4044 is likely the same. I would assume that it will be demolished when Laclede Gas vacates their large complex of which this is strangely a part. 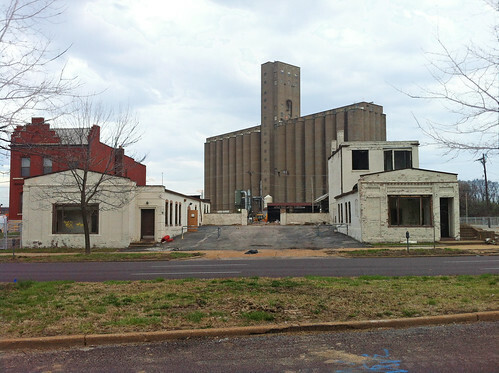 Vanishing STL has learned that several large St. Louis parking syndicates have teamed up to purchase what remains of Laclede's Landing to build a giant Central Riverfront Parking Facility to replace the Arch parking garage and supply Downtown with parking for eternity. 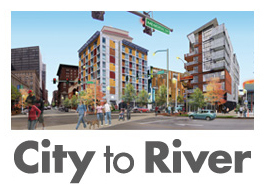 Great Rivers Greenway also learned of this plan, and in response, has snapped up vacant lots and entered bidding wars for parking lots that will be turned into additional park space that will "help provide better connections for people to the riverfront and newly renovated Arch grounds". 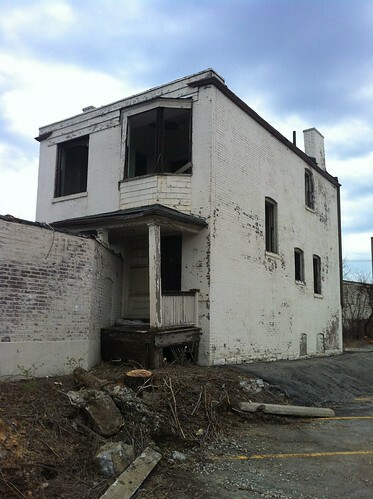 The parking syndicates were able to get one of the areas oldest National Register historic districts delisted due to the quantity of demolition that has taken place. 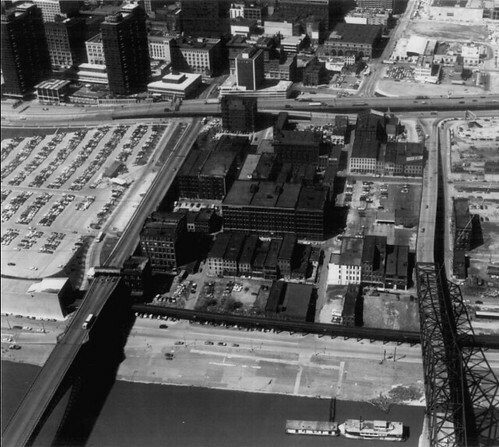 Laclede's Landing in 1967 when the National Register district was listed. When asked about the need for the giant parking garage facility, a spokesman for the parking syndicates replied that "people have been complaining about parking in Downtown St. Louis ever since that 40 block parking lot along the river was turned into a park with that big shiny thing in the middle of it. We're going to solve this parking problem once and for all". When asked if the garages would support future development above, the spokesman said "We don't know about demand for new office or residential uses. We're in the parking business." The parking syndicates are reportedly in talks with MODOT about building new flyover on & off ramps directly into the new garage complex. When asked about the expense of this, a spokesman for MODOT said "Once the new Musial I-70 bridge opened up, we've been looking for a legitimate reason to keep the stretch of highway that divides Downtown St. Louis from the Arch and the river. The new flyover ramps into the Central Riverfront Parking Facility will give us a great reason to keep this stretch of highway.